Plantar fasciitis pain isn’t typically one of those mildly annoying, occasionally irritating, acute injuries that simply goes away on its own. Quite often, it causes a stabbing pain in the bottom of your heel as soon as you take the first step out of bed in the morning. When plantar fasciitis pain interferes with your day, it can be hard to ignore. At Animas Foot & Ankle in Monticello, Utah, Dr. Nicholas Hugentobler is passionate about helping people of all ages successfully manage the sharp, shooting pain of plantar fasciitis. If the condition becomes chronic, it can lead to hip, back, and knee problems because you change the way you walk in an effort to ease your foot pain. Dr. Hugentobler explains what causes plantar fasciitis and shares five tips for managing plantar fasciitis pain. Plantar fasciitis is the inflammation of your plantar fascia — the thick band of tissue that connects your heel bone to your toes. The plantar fascia is designed to act as a shock absorber for your foot, but too much tension or repetitive stress on this tissue can lead to plantar fasciitis. You’re typically at a higher risk of experiencing plantar fasciitis pain if you’re 40-60 years old and you are obese. Stretching exercises meant to relieve the stress on your plantar fascia are some of the best ways to alleviate painful symptoms and reduce the chance of developing a recurring problem. One of the most effective plantar fascia stretches is one you can do sitting down. Place your foot across your knee and use your hand to gently pull your toes back toward your shin so you can feel the stretch in the arch of your foot. You should feel tension in the tissue along the bottom of your foot. Hold each stretch for a count of 10 and then release. Repeat 10 times on each foot. Perform this stretch a minimum of three times a day, especially after sitting for a long period, so your foot is adequately stretched before you start walking again. Stretching your Achilles tendons a few times a day can decrease heel pain by strengthening your lower leg muscles. Lean forward against a wall with one leg straight behind you and the other bent, like a lunge. Keep both heels on the floor and lean toward the wall for 10 seconds at a time to feel the stretch down the back of your lower leg. At Animas Foot & Ankle, we may also recommend wearing night splints to stretch your calf and the arch of your foot while you sleep to prevent morning pain and stiffness. When the pain from plantar fasciitis flares up, apply ice to the sore area for about 20 minutes. Do this three to four times a day to ease symptoms. Elevating your feet and taking ibuprofen to reduce pain and inflammation can also temporarily relieve discomfort after a long day on your feet. Depending on the severity of your plantar fasciitis pain, over-the-counter foot orthotics or shoe inserts may help provide some comfort, but custom foot orthotics with arch support effectively distribute the pressure on your feet more evenly. Always wear supportive shoes, especially when you stand for long periods of time. If you’re overweight, losing the extra pounds can go a long way to relieving undue stress on your feet. 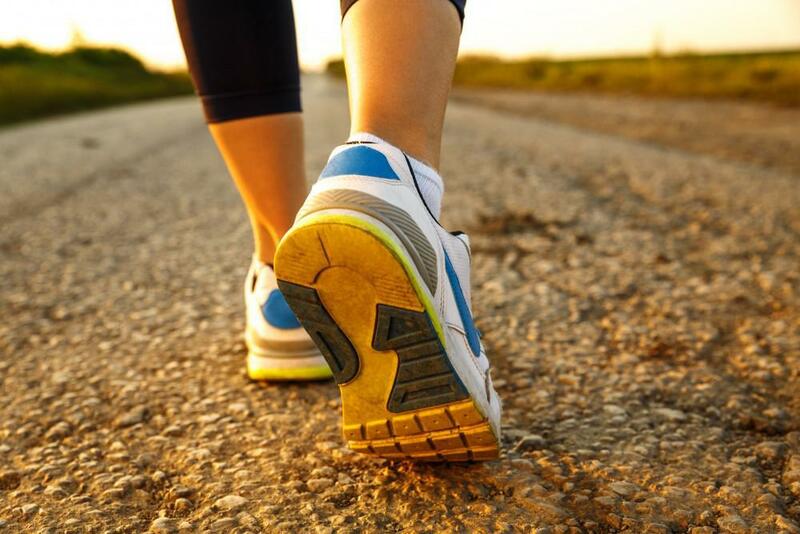 Losing a few pounds may also make it easier for you to walk and perform plantar fasciitis stretching exercises. If you don’t notice pain relief after a few months of trying home remedies for your plantar fasciitis, consult Dr. Hugentobler and the team at Animas Foot & Ankle. They may recommend physical therapy or surgical procedures as a last resort. In most cases, you can manage plantar fasciitis pain without invasive surgery. To learn how to manage plantar fasciitis symptoms or any other foot condition, call us or request an appointment through our online form. Can My Diabetes Affect My Feet? Diabetes can cause foot pain and interfere with normal healing, making you more prone to serious foot infections — and even amputation. Here's what you should know about diabetic foot complications — and how to avoid them. Athletic shoes aren’t just about looking cool or improving performance. They’re also about preventing injuries. Here’s what you should look for in your next pair. Think you may have toenail fungus? Before you reach for the tea tree oil, find out why toenail fungus is so difficult to get rid of and almost always returns if not properly eradicated. Find out its secret and how you can be rid of it once and for all. Bunions: What's to Blame, Your Shoes or Your Genes?